Holidays are so fun. All of them. And I stand by the notion that holidays get all the more fun when you have kids to celebrate with. St Patricks Day was no exception. We didn't do anything huge, but found little ways to incorporate green into our day. After all, we (at least myself and Perry) have to celebrate our Irish heritage. 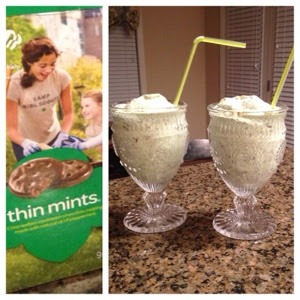 Over the weekend we made some awesome green thin mint milkshakes. 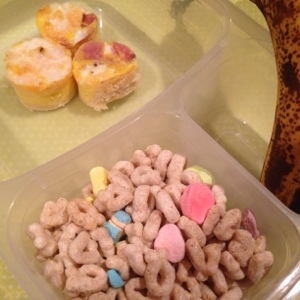 I found the recipe here on the I heart Nap Time blog. Perry's St Patrick Day breakfast consisted of lucky charms because nutritional value of cereal is overlooked on holidays. And quiche because it was in the fridge and his breakfast needed some more sustenance than sugary cereal and shaped marshmallows. 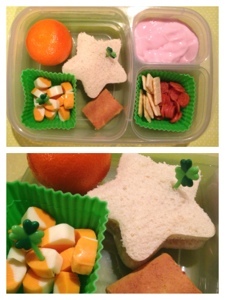 Lunch bento box was pretty normal, but had some festive shamrock picks stuck in it. 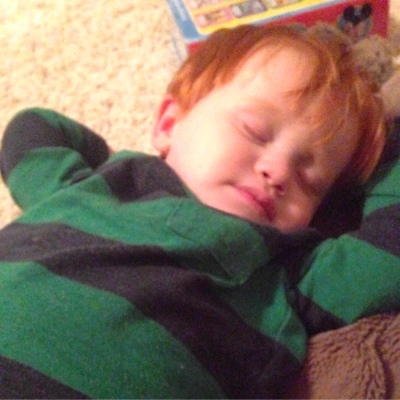 Apparently all the St Patricks Day excitement was just too much for our little Irish lad, who fell asleep in the car a little before bedtime. Look at that sweet face.